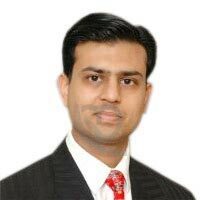 Dr. Sachin Gupta, MBBS, MD(Medicine), DNB(Oncology), having a rich experience of more than 8 years, is a Consultant in Medical Oncology department at Max Super Speciality Hospital, Mohali since Oct 2011. Dr. Gupta had an acclaimed academic record as being board/university topper in 10+2 & PMT Examination and a very bright student during his graduation days. He completed his basic medical studies (MBBS) from Govt Medical College, Patiala and MD in Medicine from DMC Ludhiana. He then pursued post-graduation and super-specialization in the field of medical oncology. After doing his Medical Oncology DNB training from RGCI & RC, he joined Artemis Hospital, Gurgaon in Medical Oncology department and was instrumental in building up the Medical Oncology department there. In November 2009, he joined Medanta Cancer Institute as a Consultant and was instrumental in setting up & establishing the department of Medical Oncology, Hematology and Stem Cell Transplant at Medanta - The Medicity hospital in Gurgaon. Dr Gupta has been very active in academic activities of the department. Dr. Gupta is a very young icon and many young doctors look up to him for his dedication, achievements and sincerity towards his work. He has been actively involved in many research protocols and has number of publications in various medical journals. He has also done a diploma in Clinical Research. He was conferred upon the prestigious “Rashtriya Gaurav Award” by India International Friendship Society, New Delhi in Sept 2009. Dr. Gupta has attended many conferences & seminars so far in medical oncology at national and international platforms. He has also participated in many camps organized for social awareness in cancer so far.